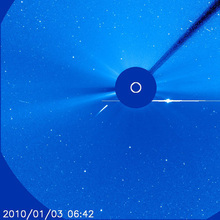 The SOHO spacecraft captured the arcing orbit of a sungrazing comet as it approached the Sun (January 3, 2010) and evaporated. The comet is believed to belong to the Kreutz family of comets that broke up from a much larger comet many hundreds of years ago. They are known to orbit close to the Sun. 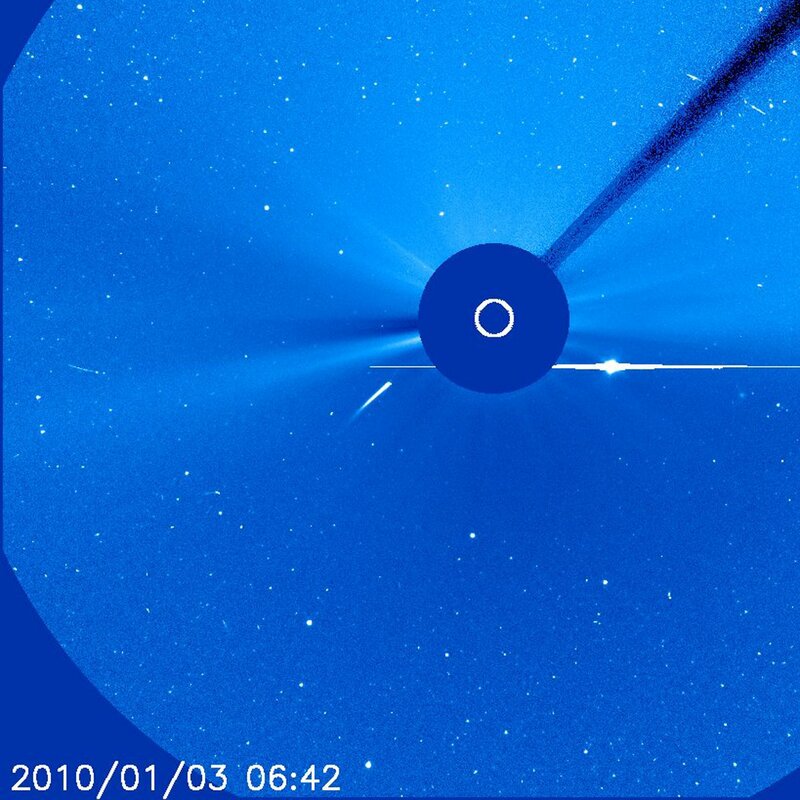 This comet was one of the brightest sungrazing comets that SOHO has observed in its 14 years of operation. SOHO's coronagraph instruments block out the Sun with an occulting disk; the white circle represents the size of the Sun. The comet was discovered on January 2nd by Australian amateur astronomer Alan Watson, who was inspecting images obtained by STEREO-A's Heliospheric Imager on December 30, 2009. The bright object slowly moving right to left below the Sun in the wider field of view movie clip is Venus. In that clip a smaller Mercury can also be seen moving from the left edge to just about above the Sun.